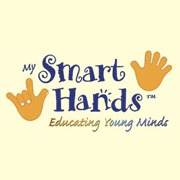 Laura Berg is the founder of Smart Hands Baby Sign Language in Toronto, Canada and a certified teacher with degrees in Sociology, Child Studies, and a Master's degree in Education. Upon welcoming a newborn of her own, came the realization for the possibilities of sign language boosting her daughter's cognitive development. MJ Williams received her Master's in Linguistics of American Sign Language and discovered a fascination with how deaf babies can sign sooner than hearing babies can speak. She is a strong proponent of having your baby start a conversation with you! Have a baby signing question? My daughter seems happier now that she knows how to sign, however I’m having problems in disciplining her. Like when my daughter would sign “eat” or “water” when I am putting her to bed, I know she’s not hungry or thirsty and would just do so to stay up longer since she knows that I’ll be bringing her to the kitchen. Another is when she uses the sign “help” and then point to get something that she is not otherwise allowed to touch. And when she uses “more” non stop when I’m asking her to stop what she’s doing. I am afraid saying no to her would discourage her from signing, so I end up always giving her what she wants just because she is able to sign them. How could I acknowledge her signing without always giving in to her? I understand your desire to reward the signing but you should just treat it like talking. If she could say I want to eat and you were putting her to bed then you would know she is just trying to stay up so you would say no. You can also teach her the signs stop and no so you can use them with her as well. Don't feel bad about saying no, I don't think it will discourage her signing. Also, on the eat and water thing, my daughter used to do the same thing so what I did was give her food right before going to bed. I would also give her a sippy cup of water (so it wouldn't spill) in her crib. She could have the water whenever she wanted. This eliminated her asking for food and water because I could say, "you just had something to eat and you have water in your crib"
While looking around the internet, i've seen all sorts of answers as to what age is best to start signing; but the most common response i've seen is 6 months old. my daughter is 3 months old & picks things up very quickly now. so, does their age really matter? & Cairo has been slowly discovering her hands over the past 1-2 weeks. should i wait until she has better use of her hands? or should i start now? People say that you should start at 6 months because generally what happens is that babies don't start signing until around 6-9 months so the parents get discouraged and stop signing. However, I've heard of some babies starting to sign at 4 months. I started with Fireese when she was 4 months but she didn't start signing back to me until she was 9.5 months old. I kept at it but some parents may have given up after a few months because signing doesn't come 'naturally' to people. So basically the 6-month recommendation is for the parents and not the babies ? If you are curious on 'learning' how to start signing with your baby, visit my website (mysmarthands.ca) and click on the link in the top right hand corner that says, 'click here to download a how to sign with your baby video'. There is a starting video available for download for $1.99 :-) Or there are tons of great books you could buy that will show you how to sign with your baby. My wife and I have a 9 month old boy named Dallas. We would like to teach him sign language and I would like to know what steps you would recommend? Also, what age is good to begin signing? Are there any books that you recommend? Thank you for your time. Dallas is at the perfect age to start signing with because he will pick it up fairly quickly; as long as you are consistent with it. There are a few books I would recommend. One is the Sign with your Baby book by Dr. Garcia. There is another book by Monta Briant called Baby Sign Language Basics. I would suggest anything that is 100% ASL and not made-up signs. If you find a book and want my opinion on it, just send me the name of it and I'll check it out. I can't wait to be a mother one day and speak with my children better. Your image is in my prayers. I just have one question: Does early communication in an infant make them happier beings? If you want to learn ASL on your own, the best thing to do would be to get a video out of the library. If they don't have one in your local library you can request that they order one. Most libraries can borrow from one another. And the best thing is it would be free. Good luck! And happy signing! Have a baby signing question for Mama Signs? Have an infant, or toddler sign language story to share? Click here to share with others! Thank you! See Page 3 of Mama Signs Questions and Answers!